The fragility of the wool market was evident this week in what was the final sale for the financial year where increased supply (Fremantle back selling again) and a rising A$ pushed all types lower however, the strong Crossbred types showed some resilience. The EMI shed some weight nearing 1500¢, down 26¢ to 1507¢ and also falling a more modest 4US¢ to 1154US¢. 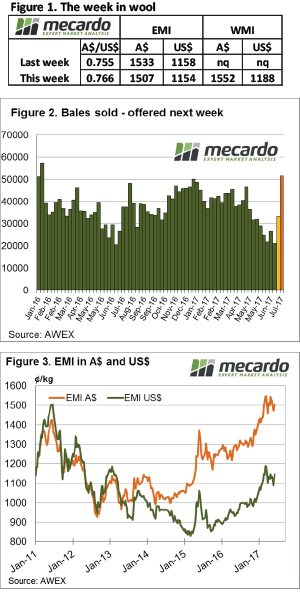 The return of Fremantle resulted in 37,000 bales offered, a big increase from the smallest offering for the year last week. 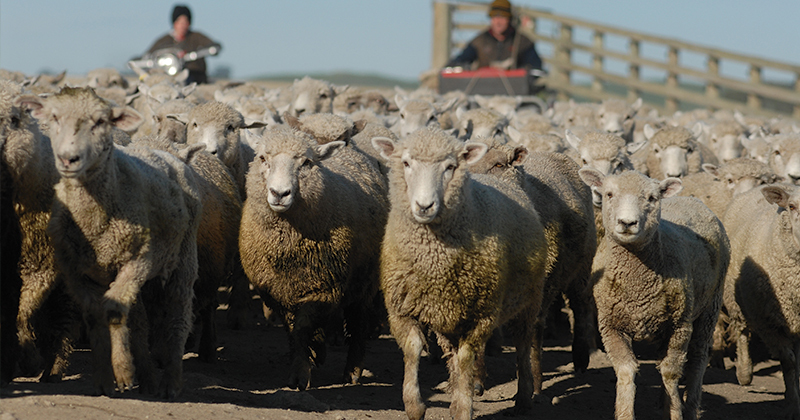 The take home positive was in the overall result of the wool market for the year, with AWEX reporting that it was the highest season ending level on record. The average for the EMI in 2016 – 17 was 1401 cents, 147 cents (+11.7%) above the 2015/16 season average. Again, it was evident that buyers became more selective with an increased volume of wool, and once again it was the lessor style and faulty types that were most effected. There is a strong argument that the poorer lines in the clip require the most attention when selling, strategic price reserves and advice from the selling broker will pay dividends. Next week the market sees all centres selling with almost 52,000 bales on offer as growers bring forward wool that was held over from the last financial year. Based on recent supply and price relationships this increased volume will test the market; and it will also probably mean that growers will respond by passing-in an increased number of bales.